Street Fighter. Tekken. Game titles followed by periods. These are the sort of weighty things on the mind of video game critics as they explore the fighting genre's latest epic crossover. Epic. Crossover. Street Fighter X Tekken combines the great taste of Street Fighter with a creamy Tekken-flavoured filling. It's the first part of a two-part crossover epic, this title focusing on Capcom's 2D fighting prowess, with Tekken X Street Fighter from Namco Bandai putting the 3D moves on the World Warriors. To apply the Reese's Peanut Butter Cup analogy, this game is peanut butter filled goodness, while the second will be peanut butter filled chocolate, only hopefully less disgusting than the inside-out Reese's Hershey tried to foist on us a few years back. Let's see what happens when game critics took a bite out of this York Peppermint Patty of a game. Is anyone else hungry? 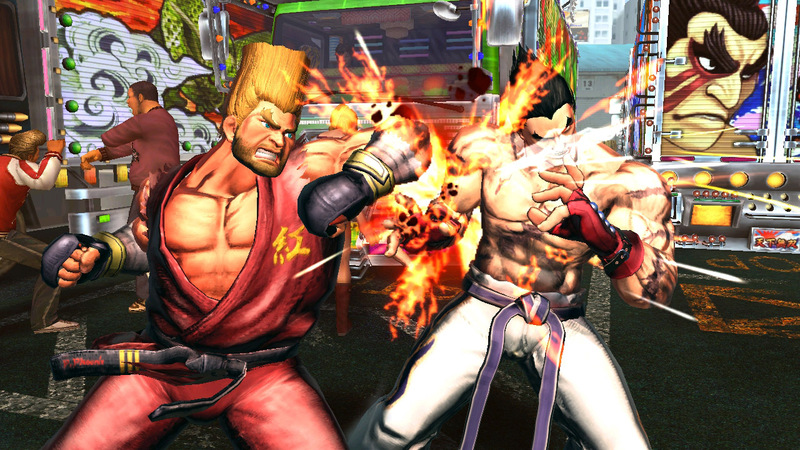 Games Radar Street Fighter X Tekken is the latest game in Capcom's 21st-century fighter renaissance, and it looks set to continue the winning streak started by Street Fighter IV. Ever since SFxT's first announcement we've had one burning question: How can Capcom integrate Tekken's cast of 3D brawlers into the gameplay mechanics of a 2D fighting game? Jamming Tekken's alien 3D concepts into a 2D Street Fighter game seemed akin to sanding off the corners of a square peg for a round hole. 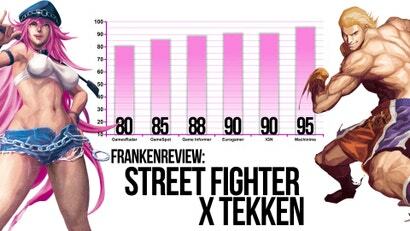 So, how did Capcom fare? Reasonably well. There's a definite gameplay divide between the two companies' characters, but that's not really a bad thing. 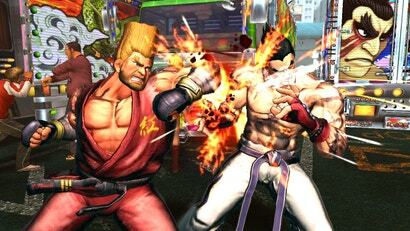 The Street Fighter characters play similarly to their SF4 counterparts - no surprise there. But in addition to their relative lack of projectiles, the Tekken fighters tend to feature a surplus of short canned attack strings, often a dozen or more. (Those goofy 10-hit strings didn't make the cut, thankfully.) Oftentimes these strings translate Tekken's left/right punch/kick inputs directly into Street Fighter's physically analogous weak and medium punch/kick buttons, but the commands frequently vary from their Tekken originals, so even Tekken pros will have to relearn the ropes, somewhat. 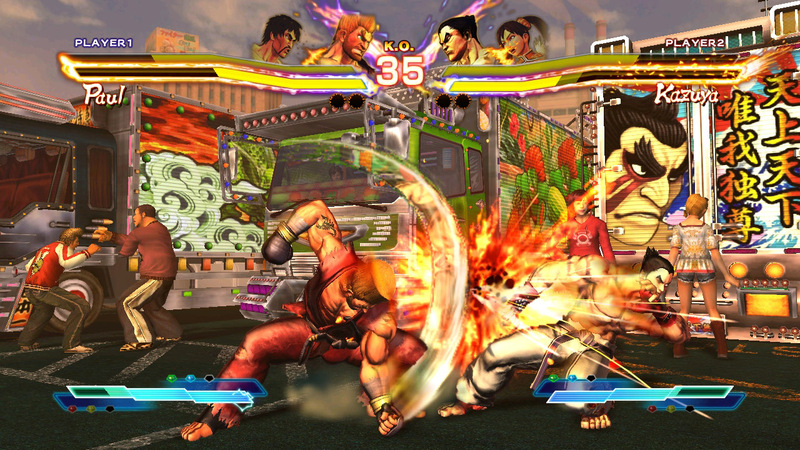 Gamespot The game includes many of the fighting mechanics seen in Super Street Fighter IV, with several new additions. It has a six-button layout, with three punches and three kicks, and a three-section energy meter with numerous functions. This meter is earned quickly and spent quickly on devastating super arts, EX special moves, and more. But one of its most important functions is cross-cancelling. For one block of meter you can tag in your partner mid-combo to continue the assault. At first this "two-as-one" style can be difficult to put into practice. It's much easier to fight with one character until his or her health gets low, switch characters, and repeat. However, in doing so, you lose a lot of what makes this game unique, as well as sacrifice an edge in combat. Early on you play the system, rather than the characters. This is because several types of moves are performed the same way no matter whom you're controlling. Every character can perform a simple combo of light-medium-heavy-heavy, and execute the two-in-one cross-arts attack the same way. This standardisation across the cast lowers the initial barrier to entry by providing a simple, effective foundation, no matter which character you choose. There is still plenty of individual character complexity, but you don't need to know it all to feel competent. By leaning on the fundamentals, you are free to discover character-specific techniques at your own pace. Game informer Two new systems in particular are bound to soak up a lot of playtime. The Gem System lets players modify their characters by equipping up to three optional items. These can slightly increase your character's on-the-ground movement or the speed with which he builds up his Cross Gauge, for instance. New players will appreciate scrub-friendly gems that automatically block attacks or prevent opponents from performing throws. Gems require specific amounts of Cross Gauge energy, and you're out of luck when it's depleted. The system is poorly documented, which actually could work in its favour. I expect that players will be tinkering with gems for the foreseeable future, trying to optimise loadouts for their specific styles of play. Characters can also enter a Pandora mode when their health is reduced to 25 per cent. After turning into a bizarre dark version of themselves, characters are rewarded with a nearly limitless Cross Gauge. It's not an "I win" button though, considering that characters have less than 10 seconds to finish off their opponent or the match is lost. I didn't have much success using Pandora. When things had gone that sour for me in a match, adding a countdown clock didn't make my life any easier-even with Cross Gauge to spare. 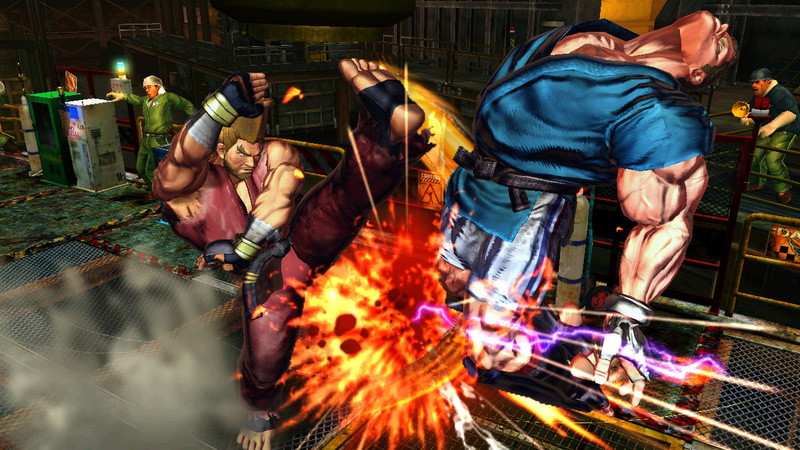 Eurogamer Beyond the minutiae of mechanics, Capcom has introduced a number of multiplayer innovations that make Street Fighter x Tekken the most exciting co-operative fighting game yet made. Online, you may now pair up with another fighter to take on other two-man teams, each player controlling one character in a normal tag match. An online Briefing Room allows players to train together remotely and it's exciting to see how two-vs.-two matches will be incorporated into the tournament scene. 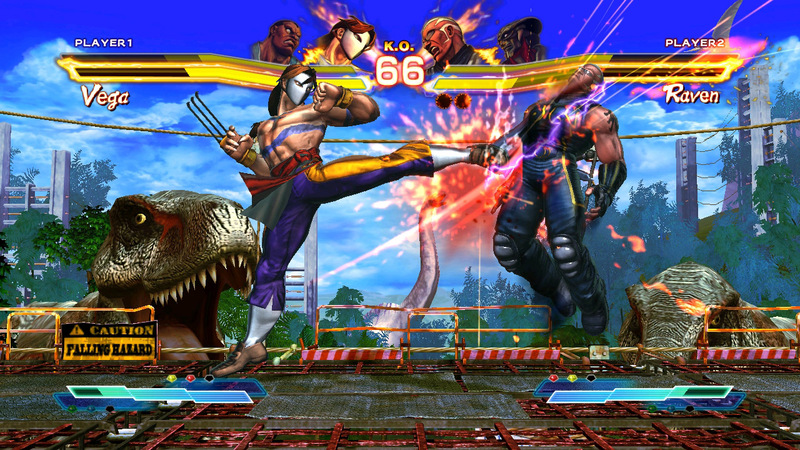 Scramble mode sees Capcom letting its hair down with a party mode that has four players all fighting on screen at once, either online or off. It's riotous fun. 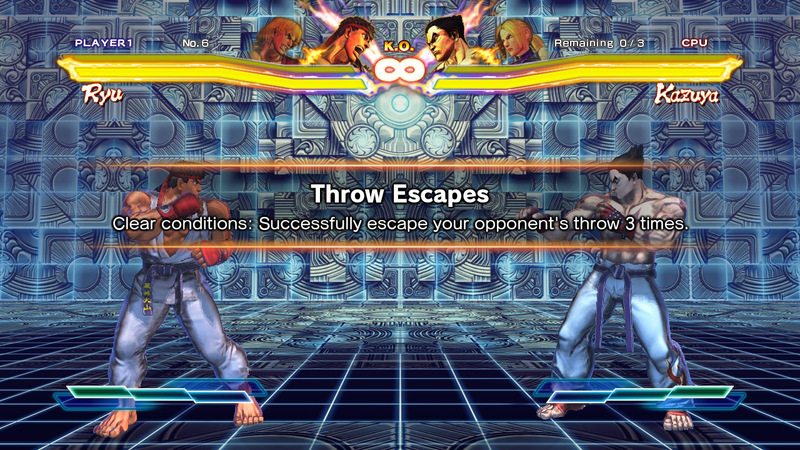 Meanwhile, the usual array of SF4: Arcade Edition lobbies and match videos make an appearance, providing the game with a framework for community-building from day one. Online, the game handles itself pretty well. Slowdown wasn't a huge factor in online matches aside from some performance hiccups here and there, and while the mode offerings lack the overall depth of something like Ultimate Marvel vs. Capcom 3's Heroes and Heralds mode, it's still a pretty solid mix of online features. 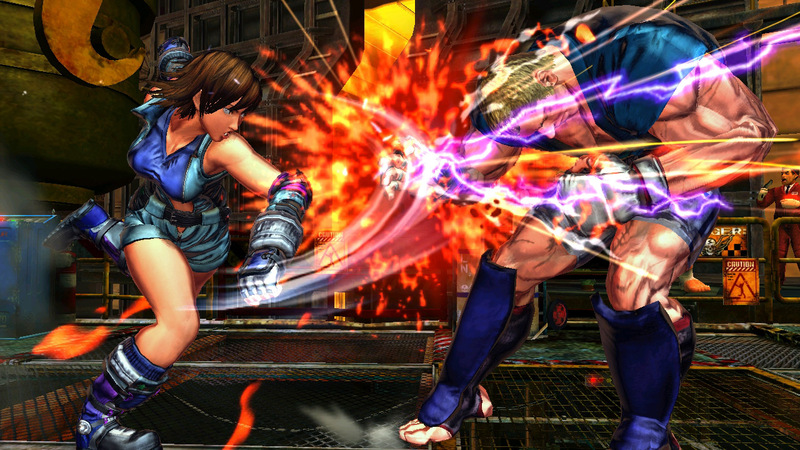 Street Fighter IV's Fight Request option returns, letting other players challenge in the middle of the game's single-player Arcade mode, aping the feel of someone walking up you in the arcades and dropping down some quarters. The modes also include a Scramble Mode (where all four fighters are active at once) and Endless Battle mode, where you fight in a non-stop series of unranked matches. Machinima I'm very excited to see what else Capcom has in store for this game. With so many characters still missing from the roster on both the Street Fighter and Tekken cast like Blanka, E. Honda, Miguel, and Devil Jin, there's no telling what kind of DLC we have to look forward to. The possibility of having Law and Fei Long as a team can be right around the corner. 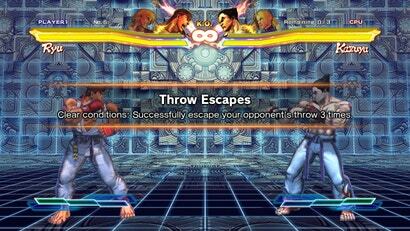 And that's one of the key points of Street Fighter X Tekken. The combinations of different teams are vast. 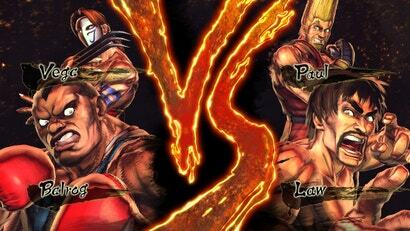 This also shows that Street Fighter X Tekken will be around for a long time. If you are a Street Fighter fan or a Tekken fan, you will definitely not be disappointed in this purchase. 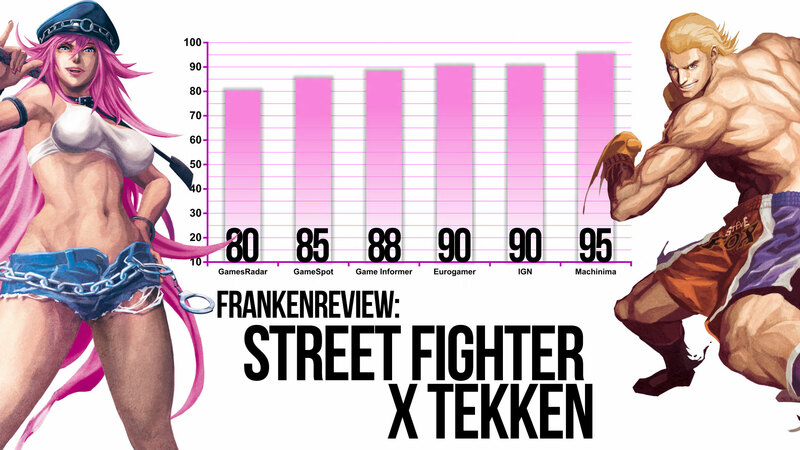 Kotaku Despite my many failures, Street Fighter X Tekken keeps me coming back for more. It's not the odd coupling of characters from clashing franchise, though I admit the allure of Poison beating a bear into submission has its appeal. No, it's the combination of plentiful single-player challenges to overcome and the promise that one day, one faithful day, I will stumble upon the correct combination of skill and enhancements that will grant me that single, solitary moment of victory I so crave. I agree with the last guy. This marks Yoshimitsus conquering of nearly all the major fighting brands! Only MK to go baby!!!! All hail Yoshi!!!! 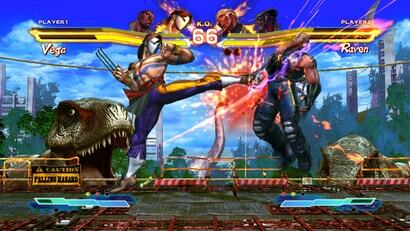 Hell yeah, lets give Mortal Kombat the GOOD crossover treatment! Mortal Kombat X Street Fighter X Tekken X Dead or Alive X Virtua Fighter X Soul Calibour X Darkstalkers X Marvel X Fatal Fury anyone? A guaranteed purchase from my end. Release Date: When Hell Freezes Over, Pigs Fly, and it rains Chocolate Oreos and KFC. One day brother... one day. Yeah who cares though.DLC issues aside, everyone knows that their gonna release an Ultimate version or whatever later in the year, so who's gonna buy it Day One just to get screwed over. After UMVC I'm certainly never going to.